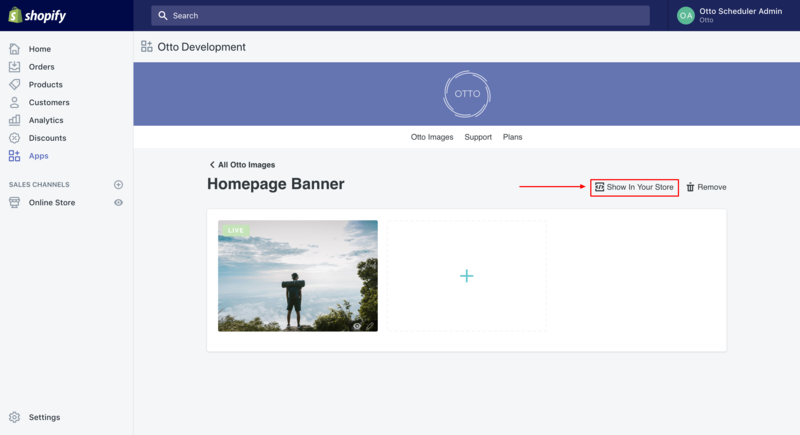 Follow the below steps to add an Otto snippet to your theme files. This only needs to be done once per Otto image. Setup can take between 5-30 minutes depending on your theme and how you want to style your image. It's advised that you know some html to be able to properly place the snippet. Please contact us at support@ottoscheduler.com if you need assistance. Click on the Otto Image you'd like to add to your theme. Click on the 'Show In Your Store' link. Copy the complete image snippet. 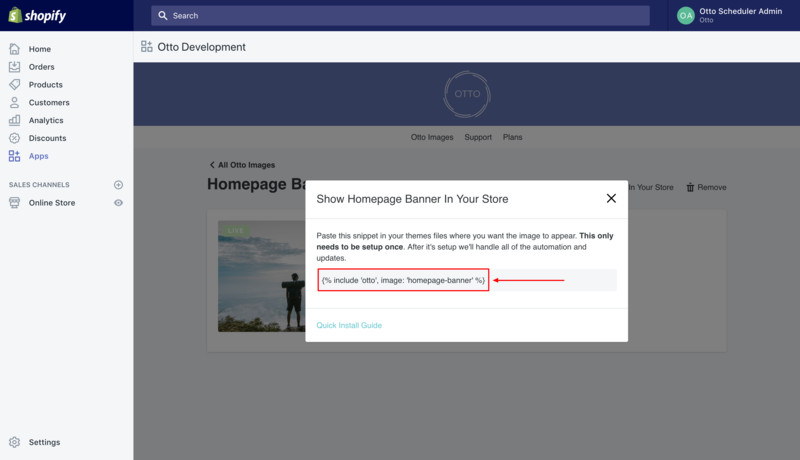 In your Shopify dashboard click on Online Store then a menu will expand. Click on the sub menu item 'Themes'. 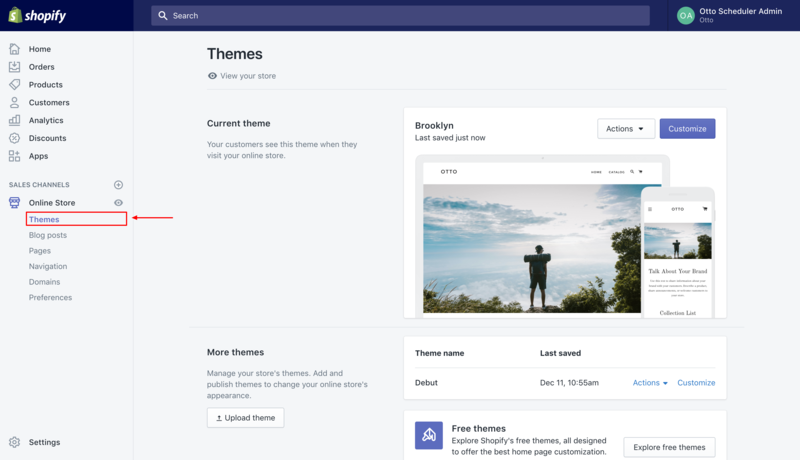 Your current theme will be featured at the top. 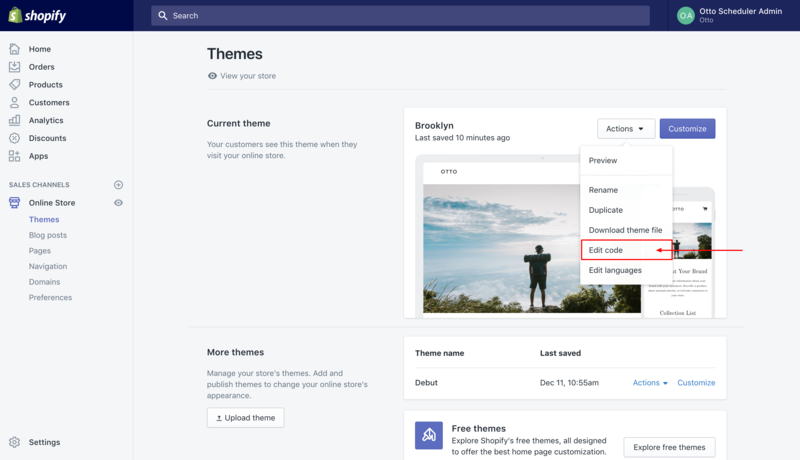 Click on the Actions dropdown and select 'Edit Code.' This will take you to your themes files. The snippet you copied in Step #2 now needs to be placed in your files. Select the file where you want your image to appear. 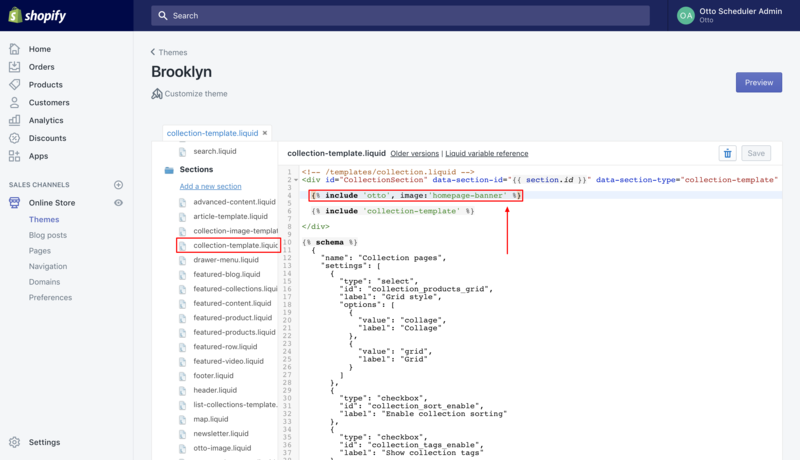 For example if you want it to appear on your collection pages then select collection-template.liquid under the Sections section. Note: This placement will vary depending on the theme you are using and where you want the image to appear. Press save to finalize the addition. You're good to go! 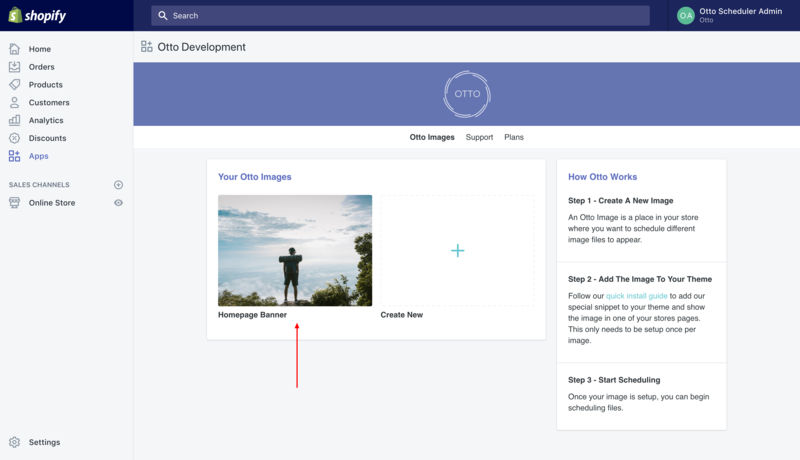 Images that you schedule using the Otto app for this Otto Image will automatically update.